One thing you won't find the Hot Dog Man eating at a BBQ is hot dogs! I eat enough of them while working, so I tend to not want to have them when I'm not at work. 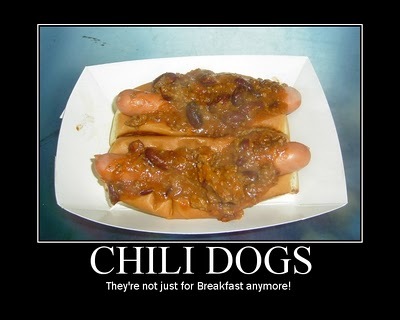 Besides, I have yet to taste a hot dog as good as mine! This past weekend was no exception-NO HOT DOGS! 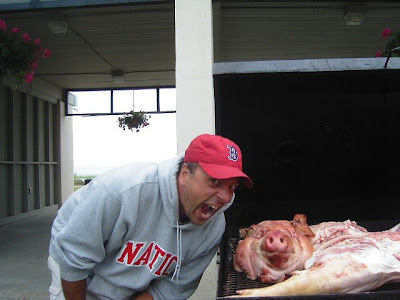 I did attend a PIG ROAST at the beach- I haven't been to a pig roast in 20 years! It was loads of fun! 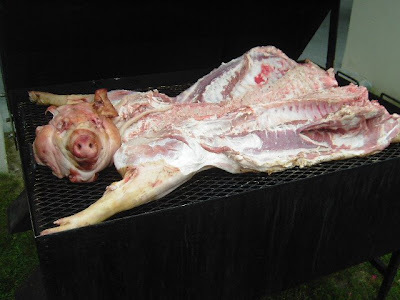 The Pig Roast was catered by Dale Bishop's Pig Pickin' BBQ Specialties. 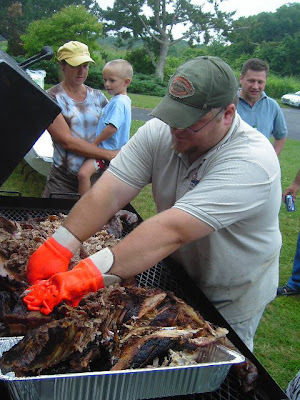 Dale's son-in-law, Brian, was the BBQ chef du jour and he was very friendly. 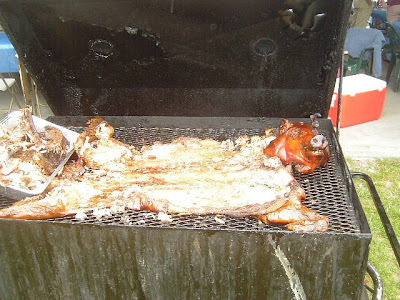 He even gave me the ears and snout for my dog when the BBQ was over. 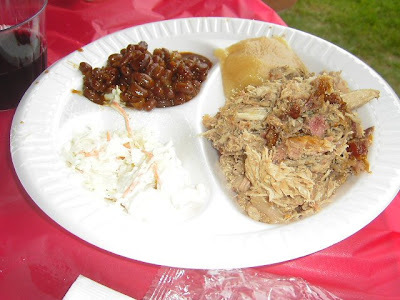 Pulled Pork, Bisquits, Beans and Cold Slaw- not a traditional New England 4th of July Feast, but delicious nonetheless! I went back 5 times! 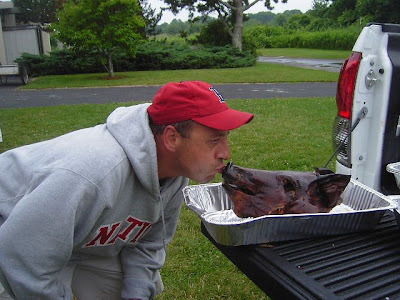 How else would you thank the little piggy for a wonderful meal?